On January 6 the New Moon rose in silhouette with the Sun seen from northeastern Asia. Near maximum, the dramatic partial solar eclipse is captured in this telephoto view through hazy skies. 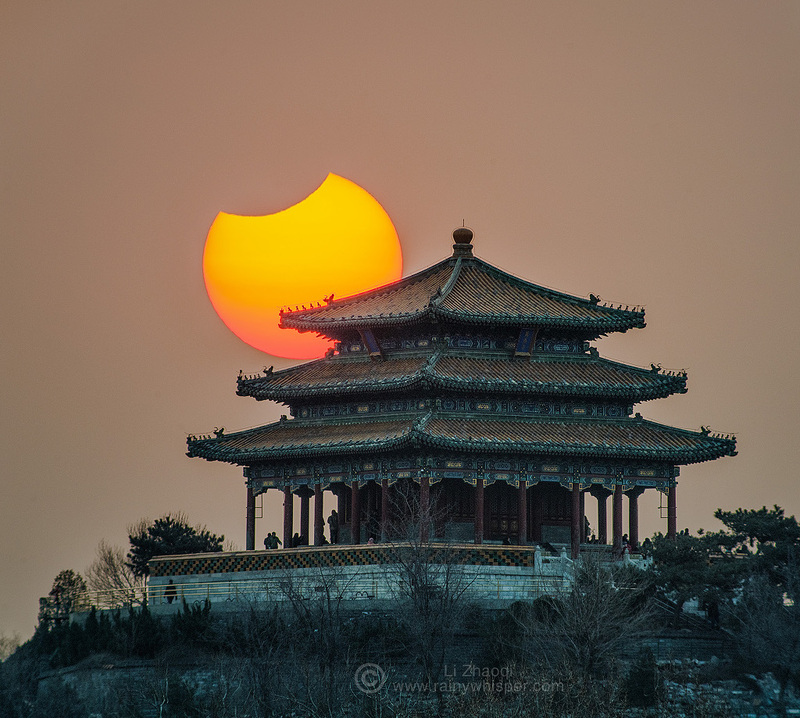 In the foreground, the hill top Wanchun pavilion overlooking central Beijing's popular Forbidden City hosts eclipse-watching early morning risers. This was the first of five, three solar and two lunar, eclipses for 2019. Next up is a total lunar eclipse during this month's Full Perigee Moon. At night on January 21, that celestial shadow play will be visible from the hemisphere of planet Earth that includes the Americas, Europe, and western Africa.